This page details some of the maps and locations in the Toy Soldier Saga. 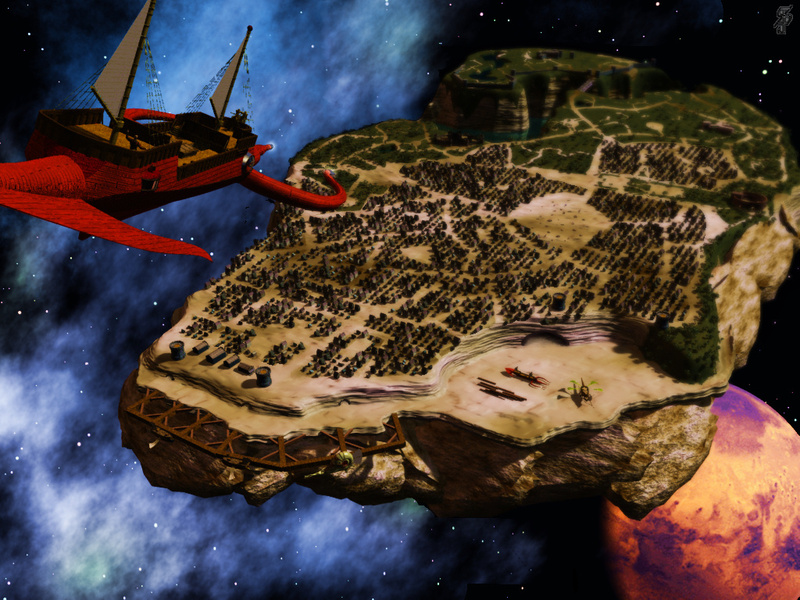 Beyond the Moons Spelljammer Website, accessed October 8 & 9, 2011. Boyd, Eric L. and Mona, Erik. Faiths and Pantheons. Copyright (c) 2002 by Wizards of the Coast, Inc.
Cunningham, Elaine. Radiant Dragon, The. Copyright (c) 1992 by TSR, Inc.
Findley, Nigel. Greyspace. Copyright (c) 1992 by TSR, Inc.
Grubb, Jeff. Concordance of Arcane Space, The. Copyright (c) 1989 by TSR, Inc.
—– Lorebook of the Void. Copyright (c) 1989 by TSR, Inc.
Henson, Dale “Slade”. Realmspace. Copyright (c) 1991 by TSR, Inc.
Moore, Roger E. Maelstrom’s Eye, The. Copyright (c) 1992 by TSR, Inc.